Power over Ethernet (PoE) is a technology for wired Ethernet LANs (local area networks) that allows the electrical current necessary for the operation of each device to be carried by the same data cables that give network connection rather than by separate power cords. This minimizes the number of cables that must be strung in order to install the network. 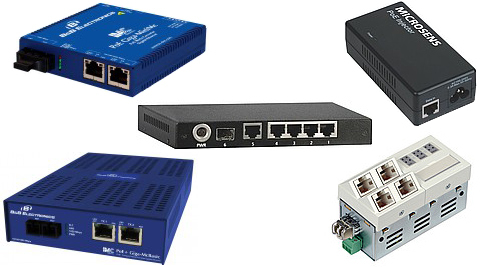 The result is lower cost, less downtime, easier maintenance, and greater installation flexibility than with traditional wiring.PoE is used for installation of CCTV cameras, wireless access points, IP telephones and many other IP devices. 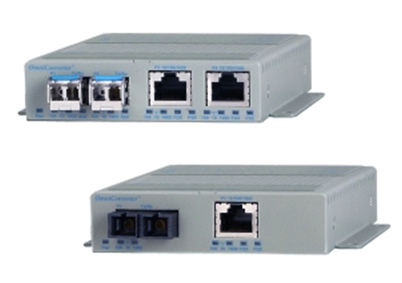 If these devices are located outside the 100-m Ethernet limitation, then they will need some special devices such as PoEEthetnet Boosters, PoE injectors, PoE media converters and fiber optic switches with PoE.